resumes. Sadly, most candidates waste this opportunity by asking questions which are self-centered for instance, salary and employee benefits. 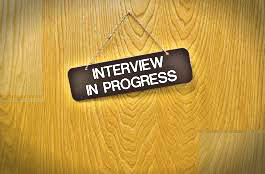 Such questions are to be avoided at the first round of interviews or you risk leaving a bad impression on your interviewers. To conclude an interview effectively here are the five questions that can help you clinch that covered job. How does the position I am applying for support the organisation's goals.? What do you thin are the key challenges of this position? What does it take to be successful in this company?- no employer want a job hopper, not after investing time and money in training an employee. So when you raise this question, you let the interviewer know that you are looking for a long term working relationship with the company. What can I do to follow up?- this is a question to show your enthusiasm in working for the company. Also, this question will help you decide your next move- when to expect an answer and the proper tome to follow and move on. If the interviewer says she will be making a decision within the week, you will know it is time to touch base should you receive not a call after a week. This could save you a lot of time wasted on waiting for calls.
" Being well planned, punctual and perfection will sure bring success. God luck"